Have you ever thought in your mind, that there is a hidden place, so beautiful and amazing in this world? Perhaps you have been venturing to many great places in other towns, picturesque villages or elsewhere, and it turns out not know the whereabouts of Raja Ampat, which is said to be the dream of many people, especially lovers of diving, and anyone who wants to enjoy the hidden paradise that never was in this world. Besides Bali, Australia or Mexico, there are many beautiful places and interesting for diving, snorkeling and underwater adventure. The diving enthusiast, would have known that challenging places to dive. There is a certain satisfaction that is hard to describe with thousands of words when you dive under the sea. There are lots of beautiful fish, coral reefs and amazing underwater atmosphere. If you want to dive in a hidden paradise, we recommend you to Papua, Indonesia, and you will find that paradise in Raja Ampat. There are many professional and amateur divers who have been enjoying the underwater paradise and the surrounding scenery. Speaking of Raja Ampat, you not only enjoy the beauty of the coral reefs, stingrays or mantaray and unique fish you find difficult to find in other oceans. 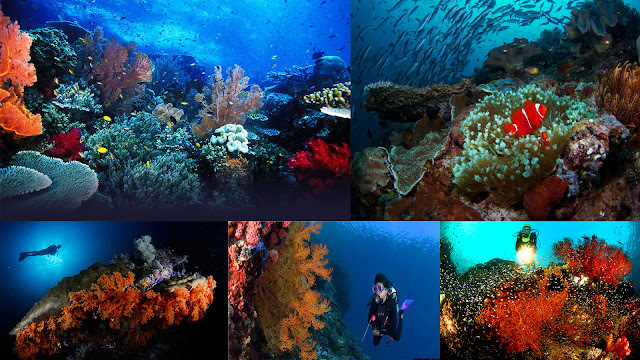 There are many oceanographers, marine scientists and travelers certainly very fond of diving or snorkeling visit to the hidden paradise in Raja Ampat. Similarly, the newlyweds, they were to Raja Ampat for honeymoon. Wow. This place is so amazing, not just at the beach and underwater, even in the mountains and islands of paradise is so awesome. It looks like this place is very far away from your hometown, but once you arrive, then you definitely want to go back to Raja Ampat. 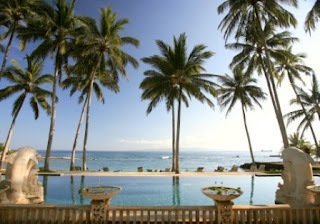 Whether you continue your hobby for snorkeling or scuba diving, or maybe you'll honeymoon in this fabulous place, so you will have the fondest memories of your life. Perhaps you have traveled to many great cities on different continents, and already feel the beauty of art or culture in many countries. However, travel and your experience will be complete if you have not been to Raja Ampat. Be sure to watch this video, then you will know that you will be contacting friends, family or anyone you love, for once in your life to travel and adventure to Raja Ampat. 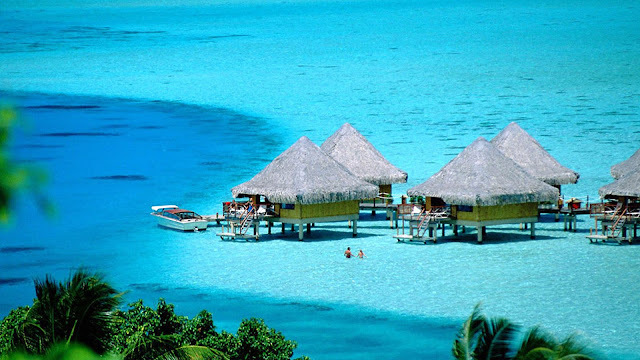 Let’s watch “Raja Ampat”, the hidden paradise. 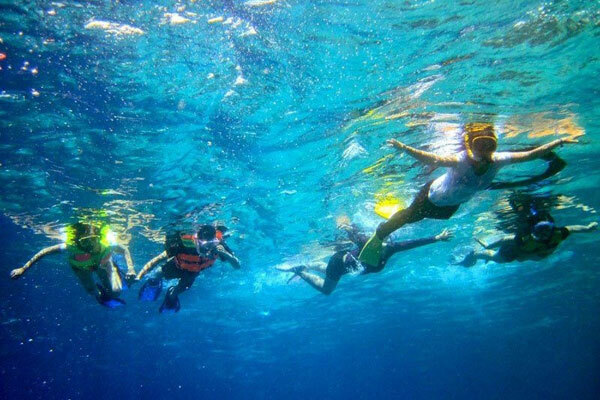 Do not hesitate to go, even though you've never been diving with a tube in your back, you can choose to snorkel around your hotel. Enjoy the beauty of the islands and mountains around Raja Ampat together with your best friend or your loved ones. There is a spectacular sunset or sunrise that awaits you there. This magical place is very pleasant to be explored, such as hiking or walking without any thought of your busy life at work and your business that may had taken most of your happiness. Now, it's time you reclaim all the happiness and peace of your life, and you definitely get inspired to reach new, more beautiful life and peace. Bali is a backpacker's paradise. That is very true. If you are young or young at heart, then you need to go further than New York, Paris, London, Japan or Australia. Now is the time you become a true backpacker. Bali is the best destination for holidays and adventure, and of course for honeymooners. There are many couples backpackers who chose this island of love as a romantic place to strengthen their love and happiness. Do you want to stay in Bali more than two weeks? If you’re visiting Bali, you don’t have to think about “expensive”. Many “backpackers” can enjoy a long holiday in Bali, sometimes longer than a week. They know how to find a low-budget place to stay, low-budget food, and even low budget transportation to enjoy, such as bicycles and motorbikes. There are many interesting places in Bali, not only to relax or enjoy the natural scenery. You can adventure and test your adrenaline, such as scuba diving, mountain climbing, trekking, cycling, parasailing, rafting and so on. If you go along with your friends, then you will really enjoy various adventures in this beautiful island. Do not worry, even if you are a single rover, you will definitely find a lot of good people, whether native-friendly or other foreigners from other countries. Bali is central to meeting the various nations and cultures. You can find in many places, and of course in a cosmopolitan place like Kuta or Seminyak, which is very famous for its beaches, sunset, and night life. Having fun. Wow. Image: inbali.org. Some hotels — and even some people rent some of their rooms for low budget tourists. If you’re renting someone’s room for a stay, congratulations — you’re in a home stay program. You can find these locations all over Bali; from towns to villages. These people are used to receive backpackers. Is it possible to get a budget holiday in style? Yes, why not? Bali is a real paradise for everyone. Just relax. Bali, as a tropical island, only has two kinds of season, the dry season and the rain season. Even when it’s raining, you can still feel the warm sun or see the sun sets and rises in several spots. Do you like to try scuba diving in Tulamben or Amed? No problem. Surfing can also do at Dreamland Beach, Medewi, Kuta and some other secret beaches. You will find many friends and peace in this thousand temples island. Bali is the heaven of surfing and seafood. Kuta has been the main choice for world class surfers visiting Bali. The Jimbaran beach near Kuta offers a wide variety of local and international food, mainly seafood. Remember to enjoy a beautiful dinner at Jimbaran beach, especially with your spouse, friends, or lover. Is it expensive? Trust me. Bali is very friendly for every class of tourists. Don't worry. What is your dream for your wedding ceremony? Picture yourself on the Island of the Gods...a warm tropical breeze, a golden sun, and the magical, spiritual charm of Bali. This is paradise, the perfect place to celebrate your romantic wedding. Your wedding organizer will help you to make your Romantic Bali wedding a dream come true. You can choose Balinese wedding ceremony or combination of western and Balinese custom. Wedding and honeymoon is really romantic dreams for most people in the world. There are some movie stars, rock star, and celebrities also decided to celebrate their wedding ceremony and honeymoon in Bali. Lush and tropical, Bali beguiles with its picturesque beaches, rice fields, mountains and volcanoes. The island beckons all seeking the ultimate romantic escape! Begin your most important beginning in Paradise! Before you go to Bali, you can contact your travel agent and ask them to provide you a wedding ceremony package in Bali. Imagine saying "I Do" in one of Balinese style exclusive private villas overlooking the Indian Ocean, during a ride on a majestic elephant or during an exotic Royal Balinese wedding. The wedding organizer can handle everything from start to finish as they work to create an event that reflects your style. Works are for people who don’t play golf. Play golf is for people who don’t go to work. Are you a free this weekend or at the end of this year? If yes, you invited to play golf in Bali. There are many beautiful and challenging golf courses in Bali. 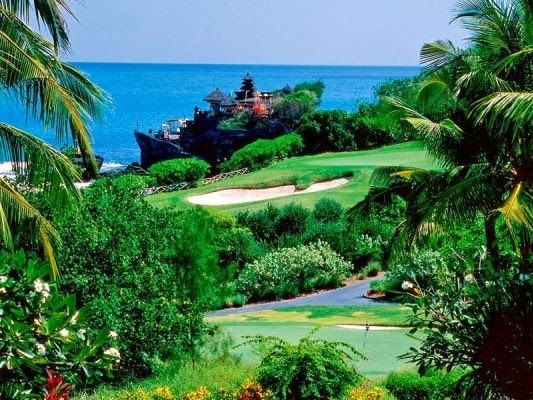 There are many wonderful and beautiful golf fields in Bali. Playing golf in Bali is not just a regular exercise. You will enjoy beautiful view and fantastic atmosphere, so you can release stress and enjoy life. You can play in Nusa Dua Resort area, Kuta beach, Jimbaran or Uluwatu. All of them are located in the south of Bali. Sanur, near Denpasar also provide a nice golf course. If you want to play in high place, just go to Bedugul, you will play in Bali Handara, the world champion type golf course, located between three beautiful lakes, Buyan, Tamblingan and Beratan. The climate in Bedugul is cold and calm weather. If you need to listen the sound of silence, so you need to visit Bali this month. Bali is a fantastic island. Bali is famous for its culture and tradition. One of the unique days in the world will take place in March 21, 2014 in Bali. It is known as Hari Raya Nyepi or Nyepi Day, the silent day. This is the celebration of New Year according to Icaka calendar that used by the Hinduism followers in Indonesia especially who live in Bali. Praying at the temple before Melasti. On the silent day the followers of Hinduism will do a special ritual by not doing four types of activities namely no fire or electric, no work, no travel and no entertainment. The silent day is going to be lasting for 24 hours. Why do they take such an unpopular action? According to Hinduism’s belief the action has an important meaning as a self control effort, so that in the coming new year everything will be better. 4. Amati Lelungan - fasting and no revelry. Bali was given many nicknames by the authors , visitors and world leaders such as the " Island of Thousand Temples ", " Island of the Gods " , " Island of Love " , " Island Paradise ", and the Indian leader Nehru gave the name to the " Morning of the World " . 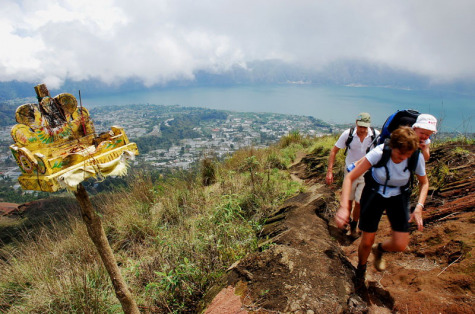 If you have visited Bali, then you will agree with all the various attributes unique to Bali. Bali visited by millions of people since the 19th century because of its unique culture , arts , hospitality of its people , the beauty of nature and the life of its people who still rely on traditions , customs are based on local wisdom and teachings of Hinduism . 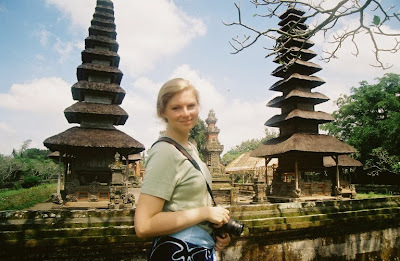 And other foreign culture with elegant and can blend with the native culture of Bali. Every nation must have its own language, the language of conversation and the national language or official languages ​​used in the country, there is even an official language for business and government, as well as the language used in the in the united nations. Singapore chose English as the official language for business and government, though in Singapore we will meet people who speak Chinese, Mandarin, Malay, Indonesian, and Indian languages. 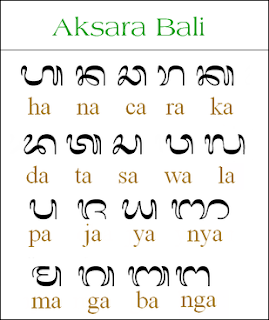 Just for information, Indonesia is very fortunate, since October 28, 1928 has vowed to Indonesia because the Indonesian language has hundreds of local languages ​​and hundreds of dialects. The decision was very wise and done before Indonesia's independence in 1945. If no such oath, you can imagine the chaos that would occur in Indonesia, which has a lot of tribes, languages​​, dialects, local culture and character are also different, even different religions. If you are in Europe, there is a country to the present fuss and fight about the use of language, the country is Belgium. The country is split into users Dutch and French, and so many problems that occur. You also encounter similar problems in Canada, namely the struggle for influence between English and French.